Last fall on an episode of The Late Late Show with host James Corden, Mel Brooks made an appearance as a policeman with Corden playing his partner. 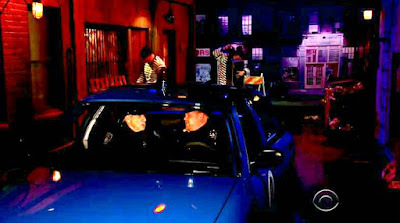 In the scene shown below, James and Mel dig in for a police stakeout on the mean streets of New York but are deep in meaningless conversation when thieves hit the location they're watching. Mel Brooks & Sid Caesar--my favorite comedians of all time! Mel Brooks & Sid Caesar--my favorite comedians of all time--no one can get near them!